Anthony “Tony” Zagryn accomplished much in this 50-plus years in duckpin bowling. He was the first-ever in the sport to score a 200 game in Connecticut. He set a world record single-game score of 211 in 1936 and contributed to the 3-man world record for both a single game and three-game total. He won 17 tournaments, including being part of both a winning national doubles team and a national championship team. 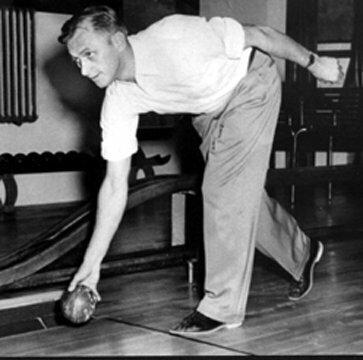 He was nicknamed “The Blond Bomber” and “the Blonde Blizzard” by those he bowled with. He owned and operated his own alleys for many years, both the White Elephant and Smitty’s lanes and traveled all over the country to compete in tournaments.